Below is a comprehensive list of hotels in St Eval. Use the sort links to refine your search or to find featured accommodation in St Eval. Many of our hotels in St Eval feature no booking fees and best price guarantee when booked through the Pictures of England website. To list your hotel in St Eval, click here. 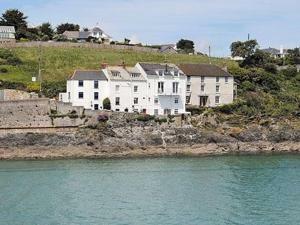 Puffin Burrow is a holiday home located in Portmellon, 47 km from Plymouth. The unit is 50 km from St Ives. The kitchen comes with an oven and there ..
53 Polkirt Hill is a holiday home situated in Mevagissey, 47 km from Plymouth. The unit is 50 km from St Ives. An oven, a toaster and a refrigerator ..
Wild Air Guest House is a period property that boasts magnificent views of the fishing village Mevagissey, St Austell bay and the coastline as far as .. 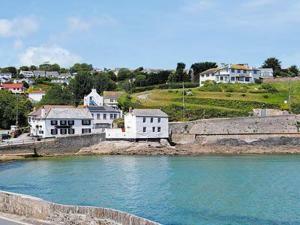 Located 47 km from Plymouth, Rock Cottage offers pet-friendly accommodation in Portmellon. The unit is 50 km from St Ives. 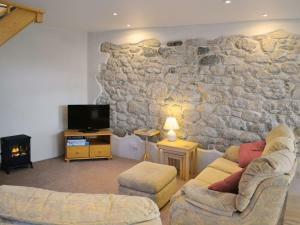 There is a dining area and..
Chy Rani is a holiday home located in Mevagissey, 47 km from Plymouth. The unit is 50 km from St Ives. The unit is fitted with a kitchen. 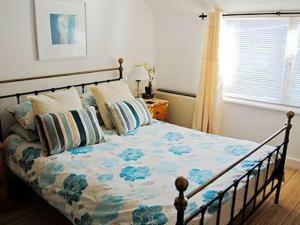 Towels and ..
Blue Harbour is a holiday home situated in Mevagissey, 47 km from Plymouth. The property is 50 km from St Ives and free private parking is featured. .. 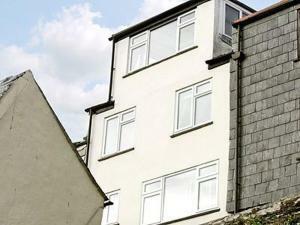 Dune offers accommodation in Mevagissey, 47 km from Plymouth. The unit is 50 km from St Ives. Free WiFi is featured throughout the property. There is.. Located 47 km from Plymouth and 50 km from St Ives, Memory Cottage offers accommodation in Mevagissey. The unit is 26 km from Newquay. 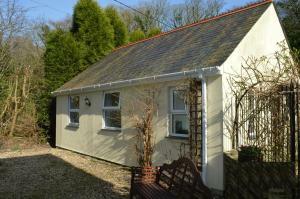 An oven and a ..
Lowenek is a holiday home with a garden, set in Mevagissey in the Cornwall Region. It provides free private parking. There is a dining area and a kit..
Cowslip is a holiday home set in St Austell, 6 km from Eden Project. It provides free private parking. There is a dining area and a kitchen equipped ..
Coachmans Retreat is a holiday home set in Port Isaac in the Cornwall Region and is 26 km from Newquay. 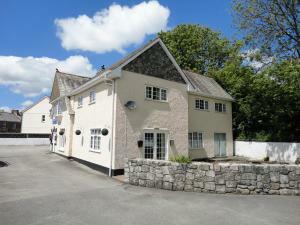 The property is 50 km from Falmouth and free p..
Isolde Cottage is located in Pentewan. The accommodation will provide you with a patio and an iPod dock. There is a full kitchen with an oven and a r.. Located 26 km from Newquay, Roosters Perch offers accommodation in Port Isaac. The property is 50 km from Falmouth and boasts views of the garden. Th.. Featuring a terrace, The Homestead is a holiday home, set in Gorran Haven. 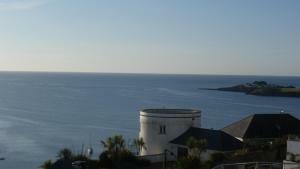 The property is 48 km from Plymouth and features views of the sea. The kit..
Lantern Cottage is a holiday home is situated in Mevagissey and is 47 km from Plymouth. The unit is 50 km from St Ives. Free WiFi is featured througho.. 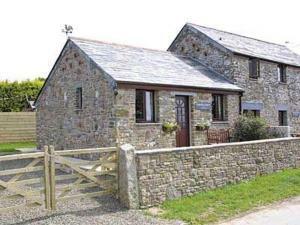 Dawn Cottage offers accommodation in Portmellon, 47 km from Plymouth. The unit is 50 km from St Ives. Free WiFi is featured throughout the property. 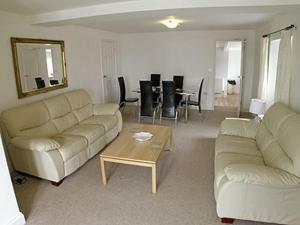 ..
Harbour Heights is a holiday home located in Mevagissey in the Cornwall Region and is 47 km from Plymouth. The unit is 50 km from St Ives. A dishwash..